I watch my Google My Business listings on a daily basis. That may seem extreme but after a recent experience, which I wrote about in the blog post How to avoid a hijacked google my business page, in addition to another page that seemed to be subjected to weekly sabotage, I have learned that there are a few reasons to check in daily. Logging in daily will let you see if edits are awaiting your review. Prior to the big hijack of March 2018, the page in question was hit with edits that made no sense every other day. Google likes those to be cleared or accepted. Check your reviews. 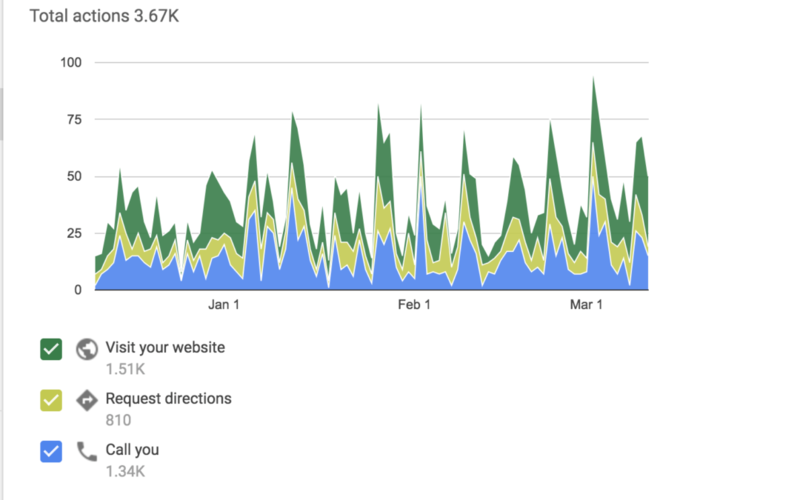 If you are not receiving emails and push notifications each time your business is reviewed on Google, this is another good reason to check in daily and see if you have any new ones and respond to them. I like to respond to reviews within 24 hours and I do have notifications but if you don’t, a daily check-in can help manage this process. View your insights. Insights are helpful to business owners and agencies. While not necessary to check them daily, if you are logging in daily you will be mindful of them and will check them more often. Add photos. Photos help to bring your business to life on your Google My Business page. You are probably adding new photos to Facebook and Instagram all the time. Spend some time adding them to Google as well to improve your search results and show visitors who you are and what your business is all about. Pro tip: Go to your photos to start a post from there to save time! Make updates to your business information. If Google My Business is a set it and forget it listing, you may forget about it when the time comes to update hours, services and other important information. Logging in daily or at least a couple of times a week will keep it top of mind so that you don’t forget. Checking in on your Google My Business listing only takes a few seconds a day. Creating a post and responding to reviews will add a few minutes. It is worth the time.